For many of us who live our lives on the go, bringing our valuables safely, conveniently, and comfortably is important. Whether we’re commuting to work, to meetings, field sites, or spontaneous adventures, it’s critical that we always have what we need with us stored in a high-quality backpack that’s easy to to wear. This is why a versatile backpack is one of the best investments you can make. It can take you from indoor and outdoor locations while carrying your things securely on your back while being comfortable to carry around. But not just any backpack: you need one that also makes organization simple, so that you don’t spend any time looking for the things you need when you need it the most as opposed to other backpacks that only pile everything contained at the bottom. Peak Design knows how important space, organization, and convenience is. This is why they’ve created the ultimate bag, the Everyday Backpack, that can take you from commutes to short trips away from home all while safely storing all your belongings. Whether you spend your days in the outdoors, traveling, or commuting, a versatile everyday bag will make your daily life much more convenient. Peak Design is known for creating world-class gear for creative and adventurous individuals. The brand’s products have been recognized internationally, so it’s no surprise that they have received numerous highly-coveted awards for producing quality bags. You can expect the same from the Peak Everyday Backpack, which is full of thoughtful features not found in other bags in the market. The generous 20L capacity of the bag makes it perfect for busy people, and it can even take you on short trips while keeping your valuables protected from the elements thanks to its weatherproof shell. 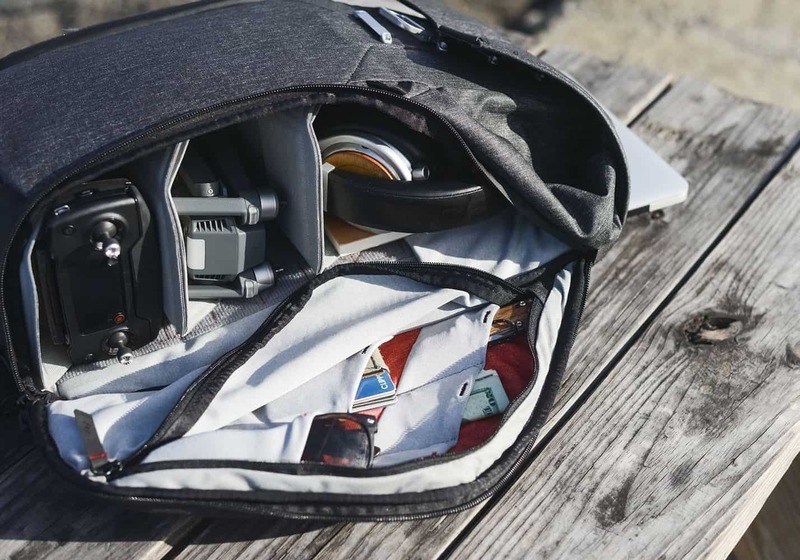 Although originally designed to cater to photographers, there is no doubt that you will find an infinite use for this bag even if you aren’t one - making it an essential item that will last you for years to come. The backpack can even be taken on trips, because it’s size has been approved for carry-ons by all the big airlines. It can also be stowed away underneath airplane seats. This bag makes traveling a breeze; it’s outfitted with a durable luggage strap found in the back panel. It also comes with axial strap attachments that allow you to remove the bag from one shoulder, then swing it in front of you without the need to remove it. The Peak Design Everyday Backpack is the only everyday backpack you’ll ever need. Premium waterproof shell and tons of thoughtful features in and out of the bag makes getting around with your valuables such a breeze that you never thought it was possible. No other backpack adapts to your needs more than the Peak Design Everyday Backpack. It’s lightweight too, so it doesn’t add a burden to carry around. It can carry cameras of various sizes, even the brand new DJI Mavic, with lots of extra room for carrying other equipment. Not a creative? That’s fine – the Everyday Backpack is so versatile that students and professionals alike will appreciate its features and storage capacity, not to mention superior comfort. It also comes in a sleek design with various colors to choose from to suit your individual style. People also love the fact that it comes with dozens of useful features which are neatly tucked away so that when you carry it, it never cramps your style. The reviews also rave about how it gives you free reign over customizing it any way you want. However, some people find that this bag isn’t designed to carry computers for a long period of time. If you intend to travel with it for several hours, you may need an additional laptop bag to prevent strain on the computer as well as on your shoulders. The straps, while designed for comfort, may also be uncomfortable if you are carrying it for several hours. 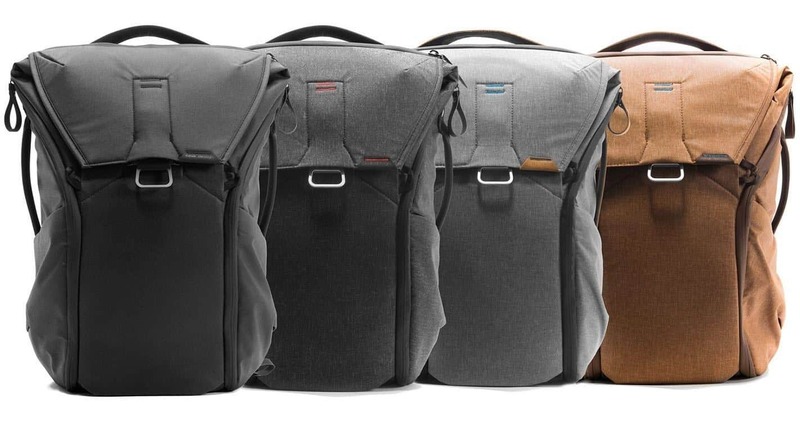 The Peak Design Everyday Backpack is available on Amazon at a terrific price. Considering how many uses it has, it’s like purchasing several bags all at one great price! They can ship it to your doorstep within a few days at no extra cost. 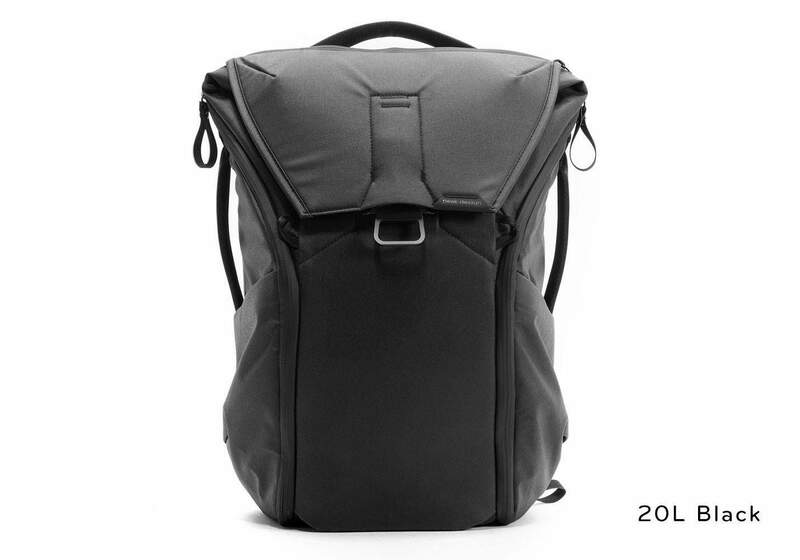 As a bonus, Peak Design offers a no-hassle lifetime guarantee for all their products, including this amazing backpack even if you order it from Amazon. They want you to be confident about spending your hard-earned money on their products, so if you receive a product that is defective, isn’t working, or giving you problems because it broke, let them know and they will replace it for you. Getting a warranty claim is easy when you get in touch with Peak Design. For anyone looking for a spacious, comfortable, versatile and extremely customizable backpack, look no further than the Peak Design Everyday Backpack. This bag is the perfect companion for commuting, creative types, adventurers, and everyone else in between. This high-quality and multi award-winning backpack protects you from the elements while organizing your belongings no matter where life takes you, making it the best investment you can make for your peace of mind.